Not all porcelain veneers are made of high quality porcelain. 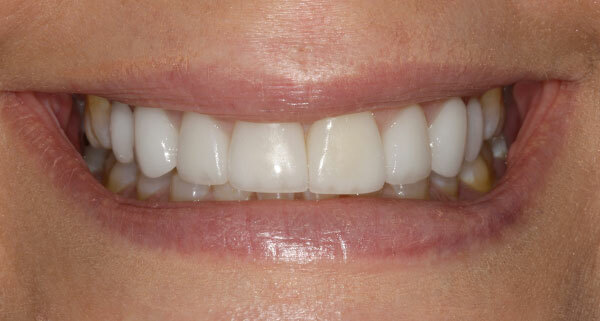 The before picture shows 5 year old porcelain veneers that have a dull and flat appearance. This inferior porcelain is also rough and susceptible to staining. 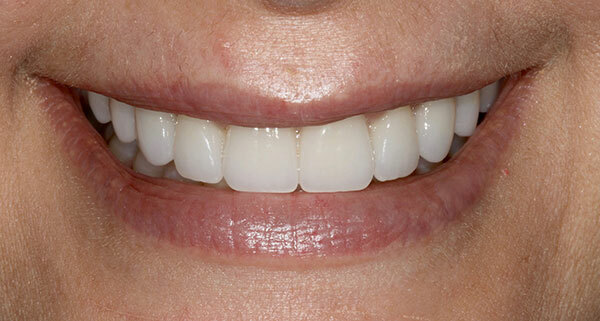 We replaced the 8 veneers and added a couple more, creating a wider smile. We also made the teeth more narrow and rounded which gave a more natural, feminine look. Our hand made, custom layered porcelain veneers are highly resistant to staining and will not discolor!